You may recall that back in September, TokuNation reviewed the fantastic Redman Kaiju Hunter Volume 1. Redman’s english publisher and distributor Night Shining has now announced their release details for Volume 2! Redman Volume 2, as well as a special reprint of Volume 1 featuring a new cover by Jesse Wittenrich are coming up for release in January 2019. Volume 2, like everything else Redman, can be purchase on this page and retails for $19.99. But the big news is the massive Redman Maximum Darkness Pack version of volume 2! 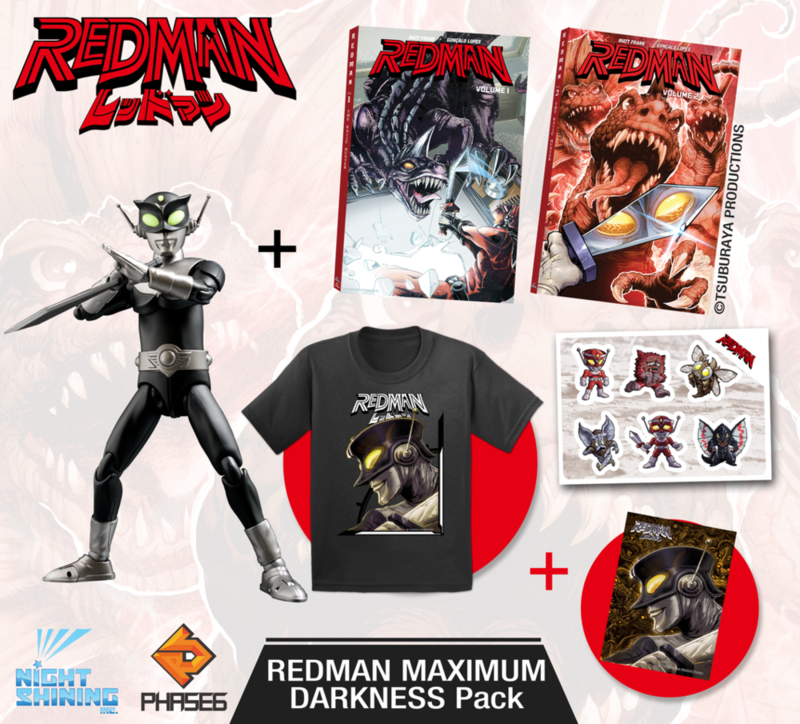 This unique set will include: The Redman Maximum Darkness Pack featuring the EXCLUSIVE » Continue Reading.